Happy 5th birthday, dear NORA! 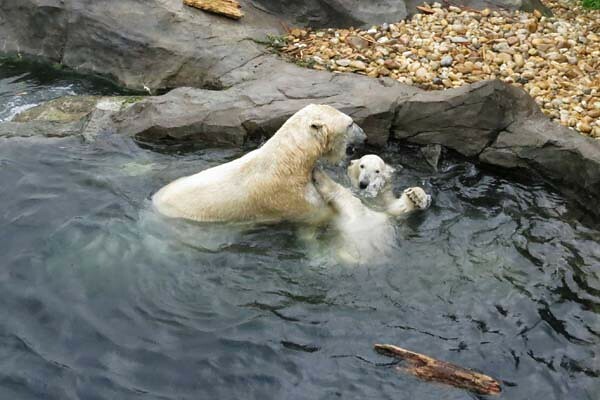 November 24th 2013 – a very happy day in the Tallinn Zoo: after 11 years a lovely polar bear cub was born in the Tallinn Zoo – the first cub of Friida and Nord! She got the name NORA. The name was derived from the names of her father Nord (who incidentally was also born on November 24th) and her mother Friida. 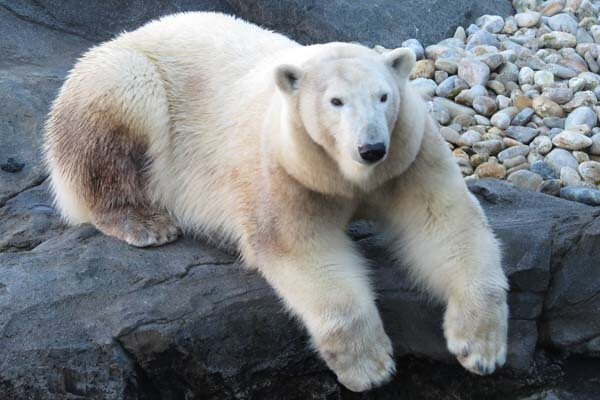 The previous polar bear cub, born in Tallinn, was Nora’s mother Friida, on December 16th 2002. 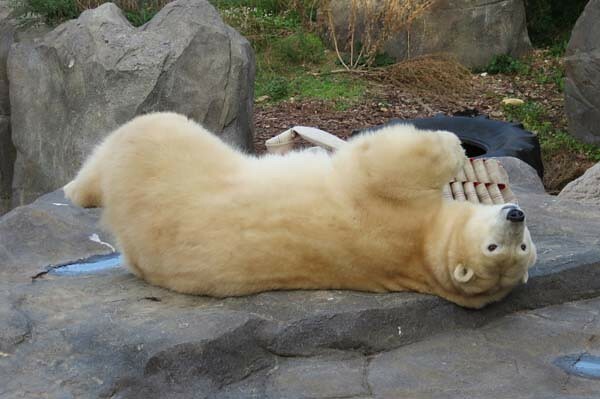 Nora was a very lively and playful, curious and skilful already when she was a very small bear. She liked to climb on the bars, to throw the toys and bones, swim and play. Everybody loved her! 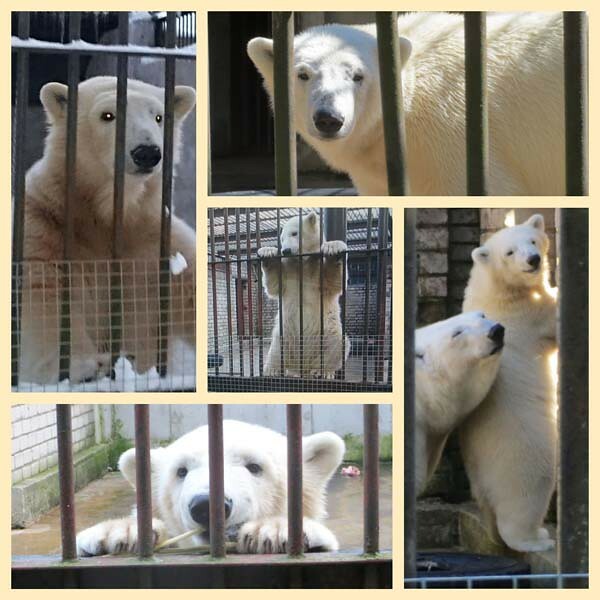 She was very young – less then 2 years old, when she was separated from her mother. 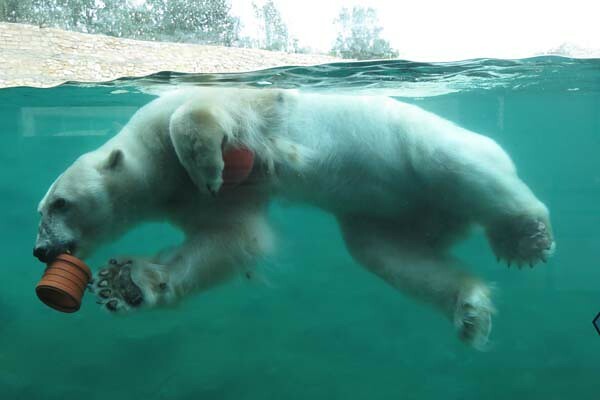 Because Nora is a very sensitive bear, this was very hard for her. 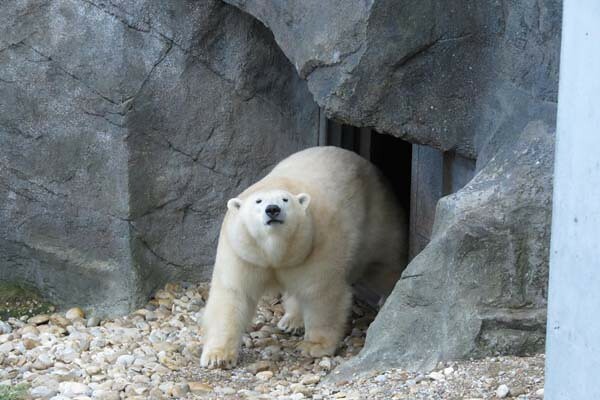 Nora moved to the Schönbrunn Zoo – to her father’s birthplace – in December 2017. 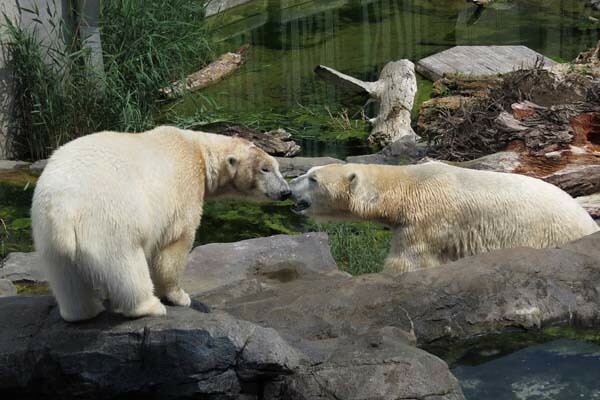 From March 19th 2018 Nora lives together with the Finnish male polar bear Ranzo. 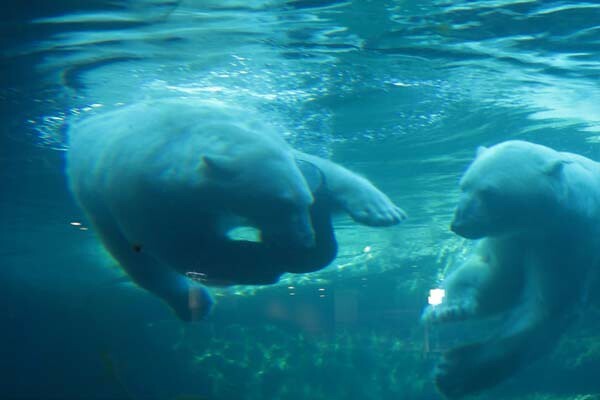 It seems to me, that they get along very well: They like to play and dive together. They often even behave in a similar way. Nora is calm and joyous – I hope she likes her new home and life together with Ranzo. I have brought fish to Nora on her birthday every year, this year I sent to her and Ranzo a pack with toys and wrote this story. HAPPY BIRTHDAY, DEAR NORA – MY PASSION! I wish you good health and a very happy life together with Ranzo! Nord was born on November 24th 2001 in Vienna. 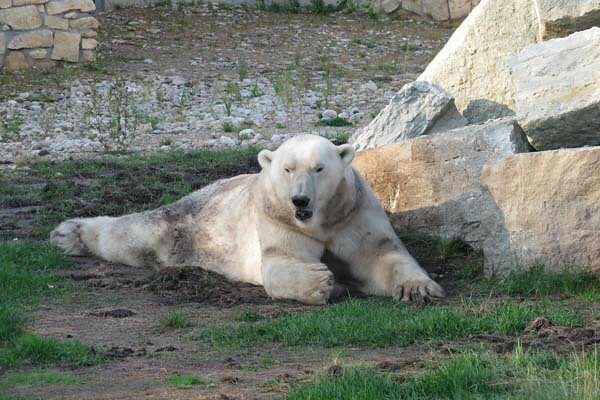 He has lived some years in Russia and he arrived in the Tallinn Zoo in April 2009. 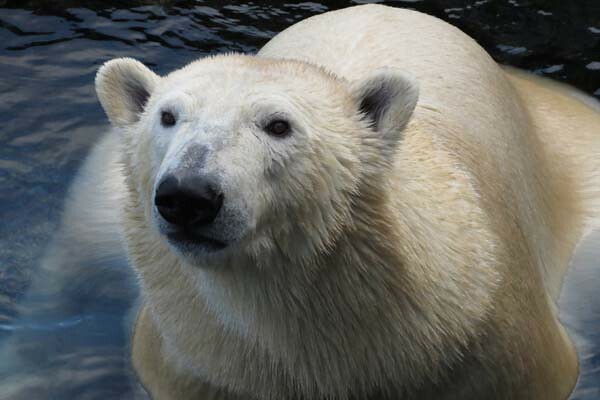 Nord – father of Nora and Aron is a calm male polar bear. 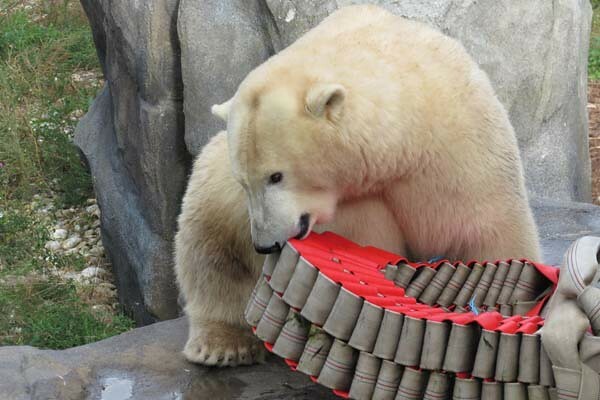 Sometimes he likes to play with the different toys like a young polar bear. Mervi’s birthday card to Nora …. Dear EVI – in any of your words one notices that NORA is your biiig love! That’>s most understandable, as she is a real cute and pretty one. Just look in the video how elegantly she moves behind the bars and how gracefully she lifts her right hind leg in order to put it on a horizontal bar – all this while fiddling around with a little bone ‘in the hight’ of her beautiful head! HAPPY BIRTH DAY!, dear NORA! Wishing you a wonderful day in your new home in VIENNA with your fiancé RANZO. Also HAPPY BIRTHDAY! to your daddy NORD who celebrates his 17th birthday today (where? still in TALLINN? I don’t remember). 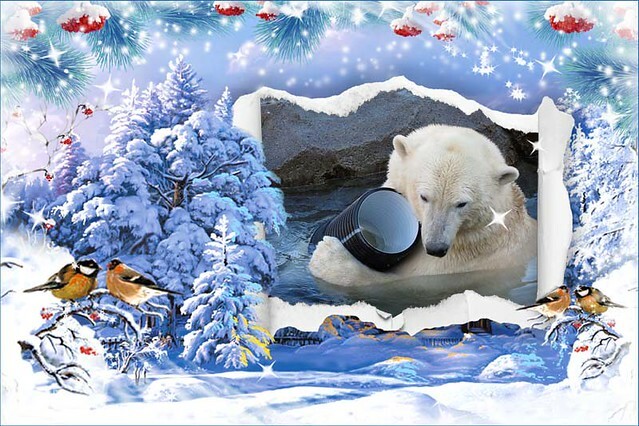 Dear EVI – thank you very much for all the information you give us in an as objective as affectionate way in this entertaining birthday-report – and for the lovely pictures and videos you brought us as well. You made a nice birthday collage for YOUR NORA. Dear MERVI – Thank YOU very much for all the editorial word and YOUR two collages, one for lovely NORA, and one for impressive NORD. ich wünsche deinem Liebling NORA alles Gute zu ihrem 5. Geburtstag! Deine vielen Besuche, Geschenke und Geschichten über sie sagen alles aus über deine große Liebe zu ihr. Das Riesenspielzeug aus Feuerwehrschläuchen ist fast unzerstörbar und sehr beeindruckend. 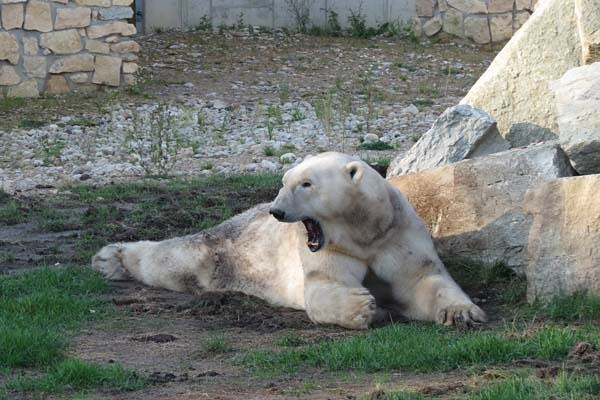 Warten wir geduldig ab, was aus dem Liebespaar Nora und Ranzo wird! Hoffentlich ist auch seine Pfote mittlerweile richtig geheilt. Eva, weißt du mehr darüber? Eva, liebe Grüße und vielen Dank für deinen ausführlichen Bericht und dir, Mervi, für die beiden schönen Collagen – auch die neue im KWM! We all hope that Nord is enjoying the new quarters in Tallinn and that his paw is getting better. 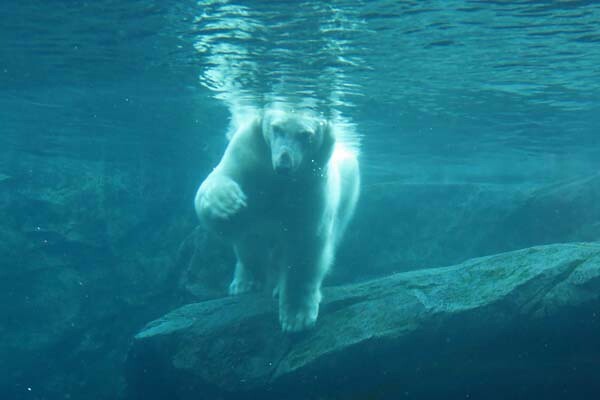 He lives in Tallinn, in the new enclosure. lick his wound so often. P.S. Both of the videos added are of NORA- one is made in Tallinn, the other one in Vienna. vielen Dank für Eure Zusatz-Informationen. Thank you very much for your additional information. Ach so, DER(!) NORD ist das. Ja, er ist mir natürlich durch seine Verwundung, die einen schon beim bloßen Hingucken selbst schmerzt, auch ein Begriff, der arme Bär! 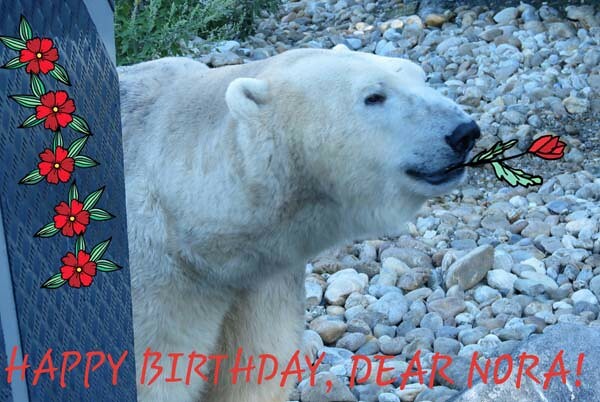 HAPPY BIRTHDAY DEAR NORA AND DEAR NORD! Thank you for this wonderful birthday tribute for and the fabulous pics of sweet Nora, the impressive Nord and Ranzo of course. It is so affectionate that everyone knows for sure: this must be LOVE. 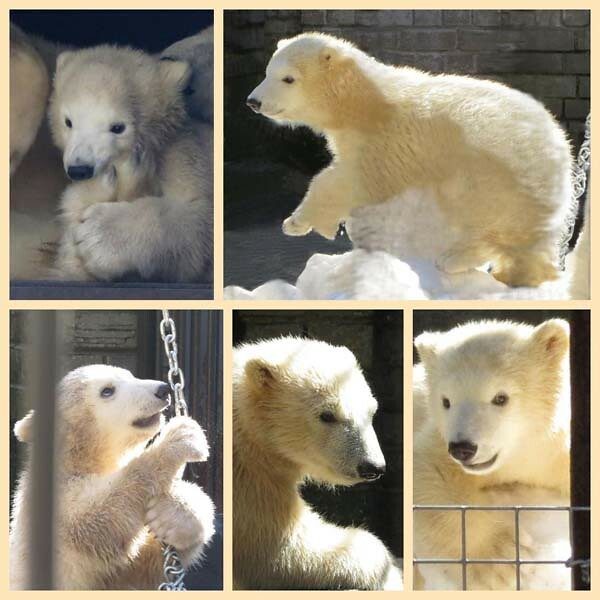 Nora was an adorable and cute little cubbie and is a gorgeous beauty now. I would like to join your good wishes for her – and for Nord and Ranzo too. Thank you for editing and the beautiful collages! vielen Dank für deine Information über Nord. Offene Wunden sind bei allen Tieren ein Problem, wenn sie daran lecken können – leider! You created a nice birthday-page for Nora. Eine wunderschöne Geburtstagsseite habt ihr fuer die beiden gemacht. You made a wonderful birthday story for Nora. 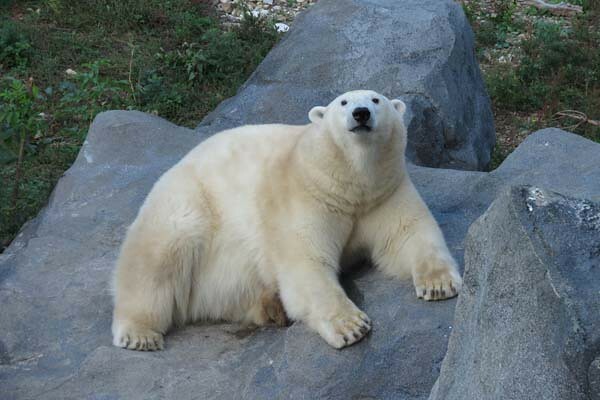 It is clear, that you love a young polar bear girl. I think she and Ranzo are happy together. Nord is still young. 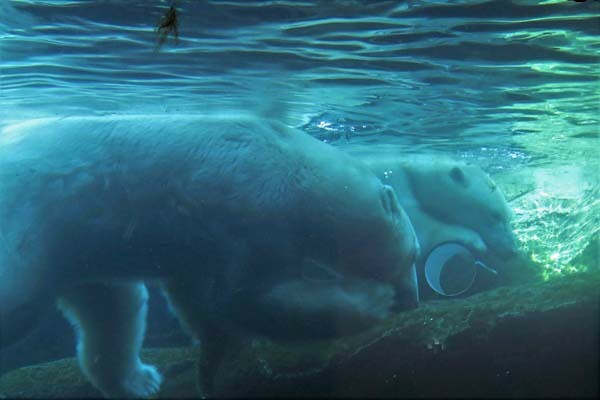 I am glad, he moved in the new enclosure. happy birthday to you both, I wish you a happy long life. vielen Dank für die vielen schönen Bilder von Nord und Deiner Lieblingsbärin Nora. Auch die Videos sind sehr schön. Danke auch für Deine wunderschönen Collagen. 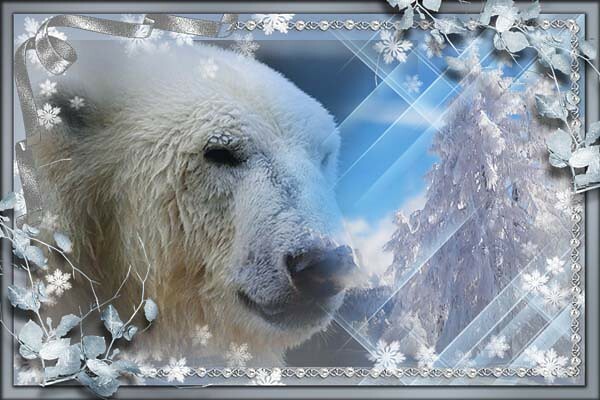 Ich wünsche Nora und Nord alles Gute zum Geburtstag. Dem Nord wünsche ich weiterhin gute Besserung für seine Pfote. deinem Herzensbärchen Nora wünssche ich alles Gute zu ihrem 5.Geburtstag! Ich glaube schon, daß sie sich in Wien wohl fühlt, deine Besuche zeigen das schon. 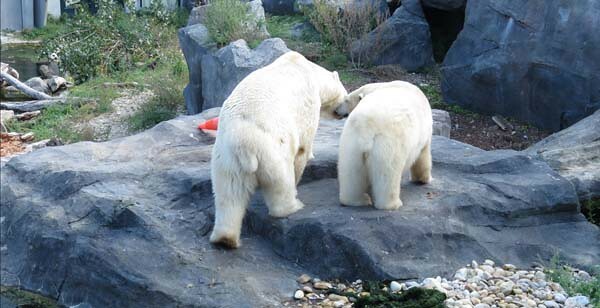 Herzlichen Dank, für deine schönen Bilder von der kleinen und großen Nora und ihrem Vater Nord. Thank you, dear all for reading this story and watching my pictures and videos! 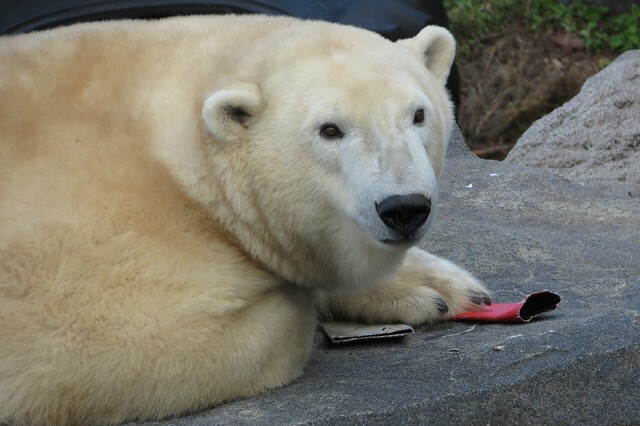 Nora really is very important to me and I appreciate your kind comments – thank you so much! Special thanks, of course, to Mervi! 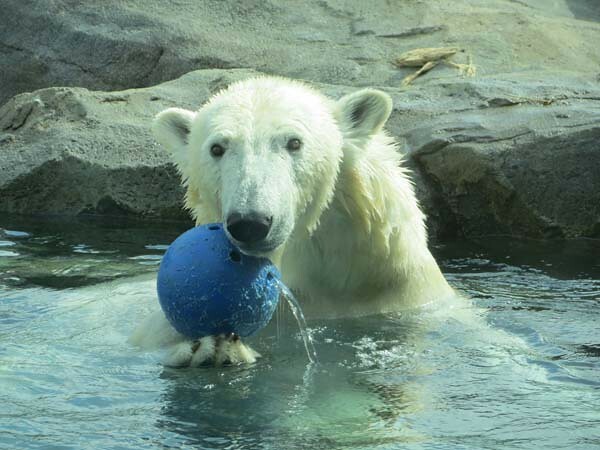 Let’s hope Nord’s paw will get better soon! Log in | 53 queries. 0.775 seconds.